Many active compounds have been found in all parts of the plant - including the leaf, bark, root, stem, and seed. Graviola is becoming increasing well known as a source of antioxidants called annonaceous acetogenins, which are found mainly in the leaf and seeds. 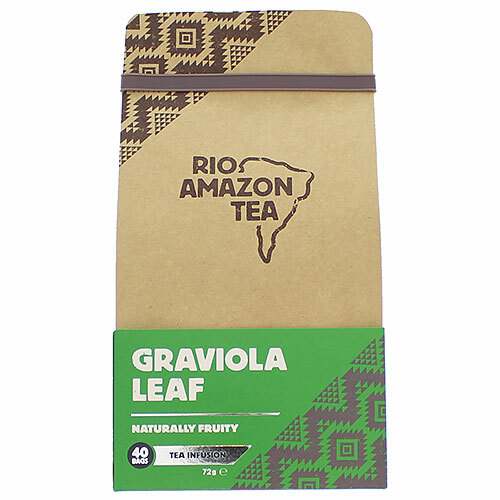 Rio Amazon teas are made from high quality botanicals in unbleached teabags and is prepared from the leaves of the plant. Supplement strength leaf tea. A rich source of antioxidants. Graviola (Annona muricata) Leaf and stem. Bag: unbleached paper. Infuse 1 teabag in a cup of boiling water for 3-5 minutes. Sweeten with honey or sugar as desired. Drink 3 cups per day before meals or as directed by your practitioner. 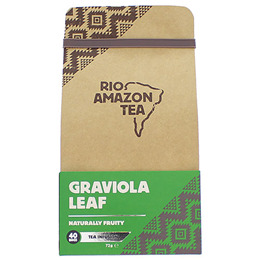 Below are reviews of RIO AMAZON Graviola Leaf - 40 Teabags by bodykind customers. If you have tried this product we'd love to hear what you think so please leave a review.